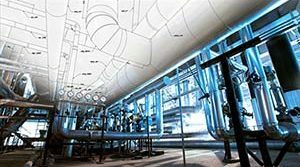 Cylinder Pipe Guides | Piping Technology & Products, Inc. 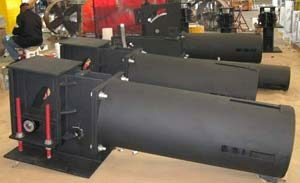 Piping Technology & Products, Inc. designed and manufactured cylinder pipe guides for an energy center in Canada. These guides, which are frequently referred to as spider guides, are designed to control lateral pipe movement and maintain the alignment of the piping through its axial and contraction cycles. 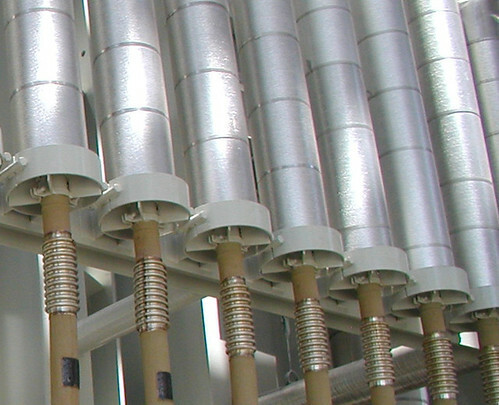 A single piping run uses spider guides in number to avoid a fulcrum or an imposed lateral deflection on critical components. These spider guides were designed for pipes ranging from 1″ to 20″ diameter with 1″ to 4″ of insulation. 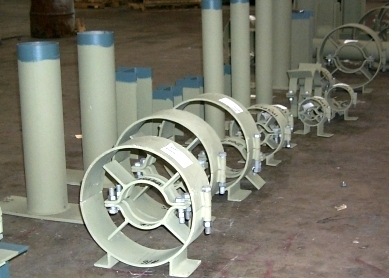 The components include carbon steel plates, stock clamps, angles and green-primer coated pipes. The outer shields have diameters ranging of approximately 6″ to 29-1/2″ with a bottom-of-angle to center-of-pipe dimensions of 3-1/8″ to 15-3/4″. The maximum design temperature for the spider guides is 750°F. 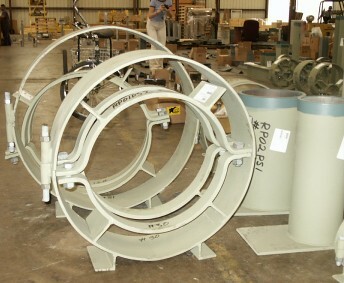 If you need cylinder pipe guides for an upcoming project, request a quote today and receive a response within 48 hours!